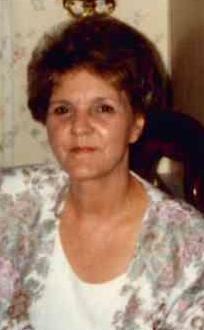 Mrs. Ruth G. Ellsworth, 79, of Elkhart, passed away peacefully at her home following a brief illness on Monday, Apr. 1, 2019 at 4:15 pm. She was born in Jasper, AL on Aug. 27, 1939 to the late Marlin and Gladys (Harris) Lay and later married John J. Ellsworth in 1959. He passed in Elkhart in 2000. Also surviving are children Mindy (David) Landers and Johnny and Tim (Annette) Ellsworth; sisters Patricia “Ann” Wallace and Margie “Louise” Fisher; brother Thomas (Charlotte) Lay; 6 grandchildren and 10 great grandchildren. She is preceded in death by brothers Charles and Bobby Lay. Ruth’s life will be celebrated at Billings Funeral Home and Cremation Services on Friday, Apr. 5, 2019 at 12:00 noon, with visitation beginning one hour prior. Pastor Jerry Parker will officiate and burial will follow at Prairie Street Cemetery of Elkhart. Ruth was a homemaker who also did in-home babysitting as well. She enjoyed spending time with her grandchildren, playing cards and listening to Elvis Presley; but her biggest love was visiting all the local casinos, especially the Blue Chip and Four Winds in New Buffalo.